Designing a Robotics Class for High School Students! In today's technological world, it is more important than ever to prepare our students with the right tools for their future. Teaching robotics lessons to students in school can increase their ability to be creative and innovative thinkers, and more productive members of society. How do you start implementing these lessons for your high school students? Let's explore some key facts that explain the importance of introducing STEM lessons for high school students. By teaching them the basics of robotics, we can open a whole new world of exciting opportunities that benefits their options for future career pathways. It’s no secret that jobs in the STEM field are the fastest growing careers. In fact, they are projected to grow even more in the near future. Teaching STEM and robotics to high school students in the classroom has positive results like encouraging them to pursue STEM careers and help them develop the necessary 21st century skills that will enable them for success in the future. By the time all of our students graduate in the next few years, over half of the available jobs will be in the STEM field. So the main purpose is to prepare our students for this big workforce change. 2. What are the right tools? 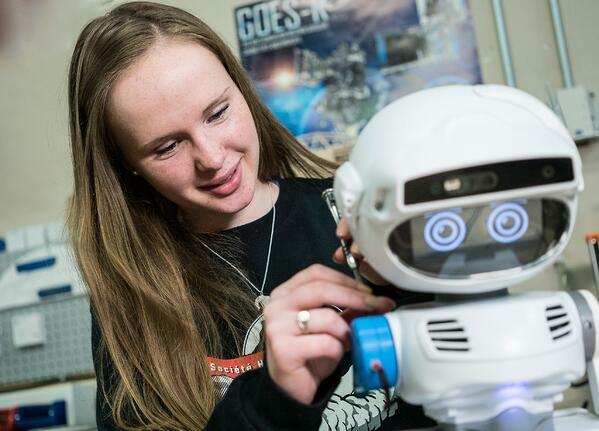 Robotics in schools can help students turn their knowledge into creativity and innovation. This is a valuable life lesson that teaches our students perseverance and determination when faced with challenges. When students program physical robots, it’s easy for them to see and correct any errors as they learn what robots can and cannot do. They develop the skills needed to create precise and accurate instructions and have fun while learning valuable lessons. -NAO Robot: The NAO humanoid robot is the ideal platform for teaching Science, Technology, Engineering, and Math (STEM) concepts at all levels. It provides hands-on experience by connecting theory with practice to discover a wide range of fields linked to robotics. With subjects such as computer science, mechanics, electronics or control, high school students can use advanced programming languages, like Python and Java to start coding. -3D Printers: Bring STEAM to life with 3D printed objects, spark curiosity, and engage the entire classroom. Learn professional 3D design skills, simulate real-world engineering problems with your students, and develop college-readiness through advanced design thinking. -Pepper Robot: Robotics is the fastest growing and most advanced technology used in education and research today. The PEPPER humanoid robot is the ideal platform for teaching Science, Technology, Engineering and Math (STEM) concepts at all levels. -Misty Robot: Bring coding and STEM to life with Misty, the autonomous roaming robot that your students can program to move around and interact with humans. Misty Robot allows students to tinker with the hardware and even extend the robot's functionality. Among other tools, that are a perfect solution for teachers and students to continue learning about robotics and STEM fields and acquire a deeper understanding. Students have the opportunity get a real feel for what it would be like working with robotics. 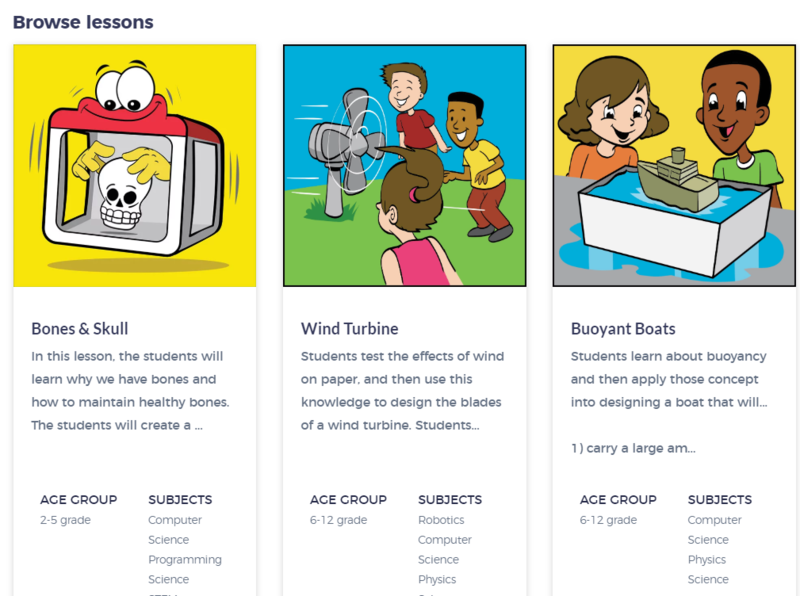 RobotLAB award-wining platform EngageK12 is a culmination of hundreds of lessons, divided by age group and robot, making it easier for teachers to discover creative ways to teach different STEM concepts to their students. 4. What will the kids learn and master using these tools? Would you like to create your own robotics class? Contact us for a custom help building your robotics class!